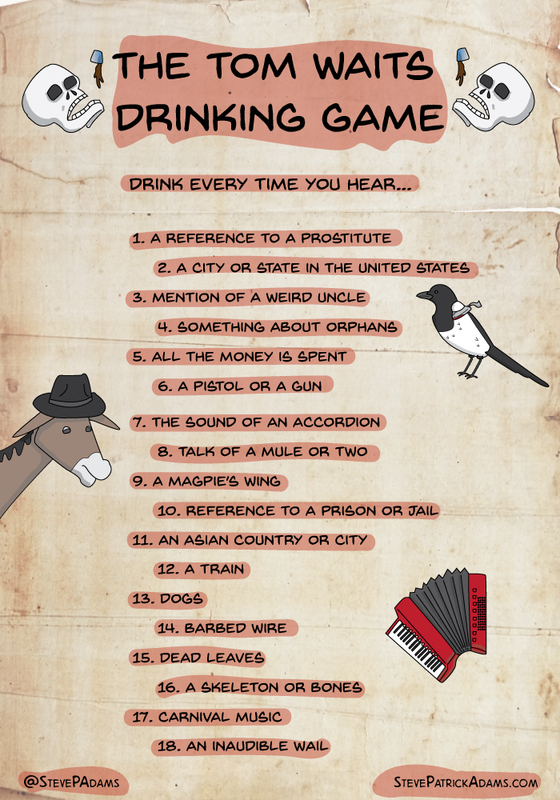 If anything is deserving of a companion drinking game, it’s the fine, dark, morbid, carnival music of Tom Waits. There’s no better way to enjoy or to be introduced to his unique discography than with a nice glass of booze. It was recorded with a drink (presumably) and thus, should be listened to with a drink. Thanks to Diane Dee for editing my work.